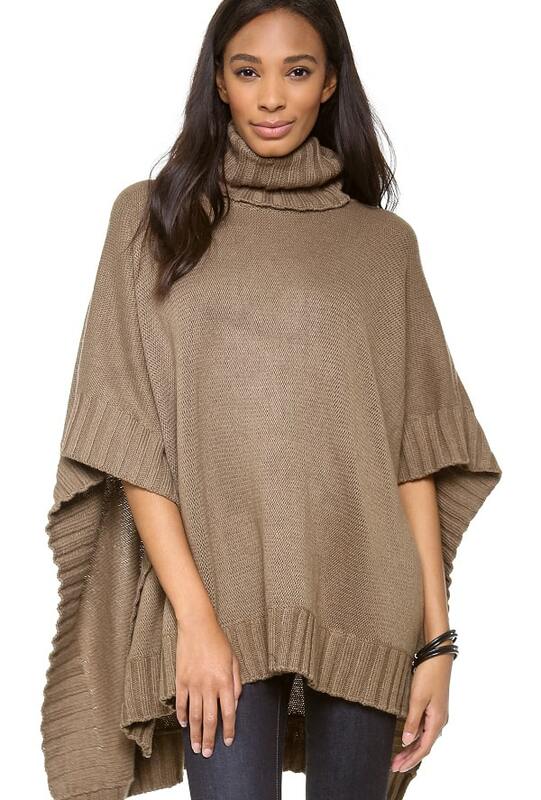 While it is very Rachel Zoe to channel retro styles on a daily basis, we can’t help but wonder if the famous Hollywood stylist is also deftly but fabulously hiding her baby bump underneath that extra large poncho. Zoe was spotted out and about in West Hollywood with her adorable two-year-old son, Skyler Berman. 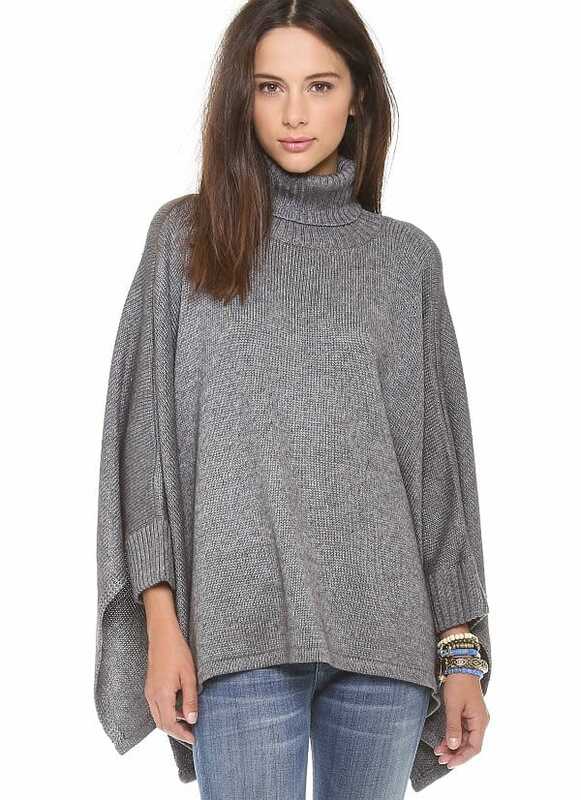 She was wearing a black, wide-brim hat, flared jeans, and a large black poncho. The ’70s are a big part of Zoe’s personal style but with the pregnancy news now out, we’re guessing she’s already starting to show. Zoe and her husband, Roger Berman, announced early this September that they are expecting their second child. They made their happy announcement on Rachel Zoe’s official website, The Zoe Report. 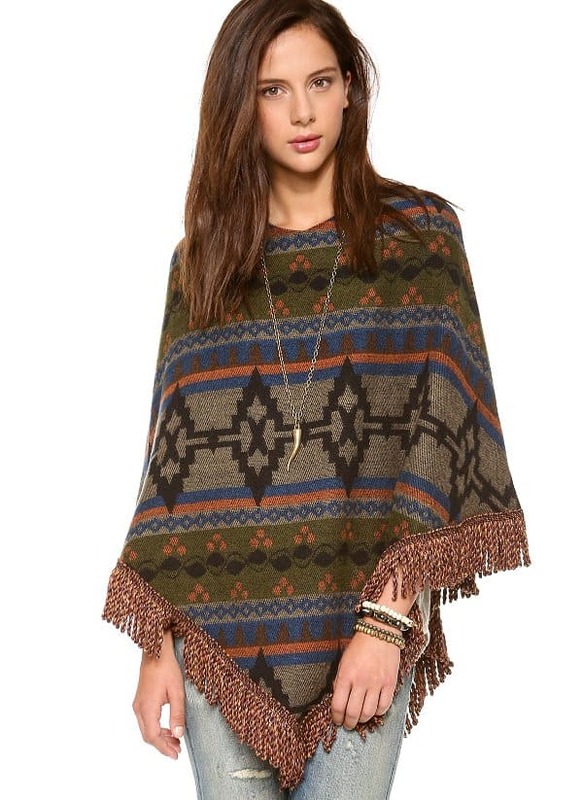 Here are other stylishly large ponchos we found online!